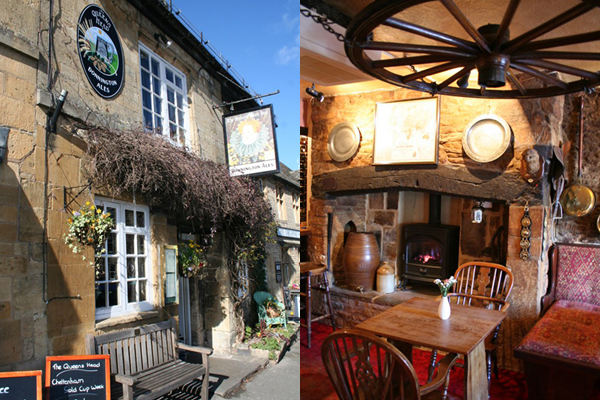 Traditional town pub with rooms in right in the Square at Stow-on-the-Wold. Traditional pub food. Here locals mix with tourists who are unsurprisingly attracted into this lovely old pub. Good food and a great atmosphere. Dog friendly too.